It’s time for another Skinsider Panel of video! These products were gifted by Skinsider, in exchange for unbiased reviews. I still can’t get used to hearing myself on camera but nonetheless, here I am with my second video review! 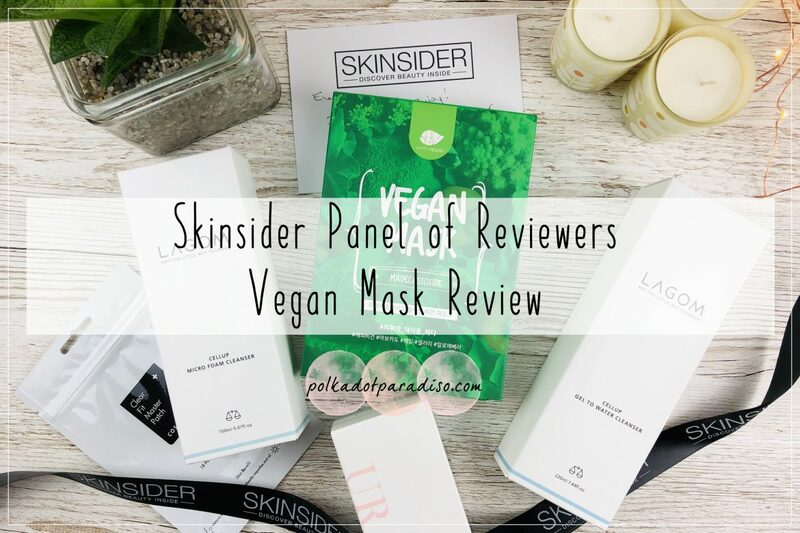 This time it’s some lovely Vegan Sheet Masks from Happy Vegan. They’re £2.70 each and come in two varieties – relaxing and moisture/brightening. Aside from being vegan, they’re also cruelty free and allergen free. These masks are of the relaxing variety and they sure live up to that! I enjoyed using these as they were comfortable and didn’t slip down my face. That is is a massive bug bear of mine as I hate the feeling of them sliding. The day after use my skin felt soft, smoother and definitely looked a little more bouncy. For the full review, take a look at the video of myself and Maryam on the Skinsider website now! Coming up in future reviews are the Urang Rose Essence and CosRX Pimple Patches (one of my favourite all time products). I received another batch of goodies a few weeks ago and so will be going into London at the end of the month to film those reviews. So if you do have any honest feedback or tips for the next time I’m in front of the camera, please let me know in the comments below!